Big Picture series Part Seven: Jupiter/Uranus greets the Future! 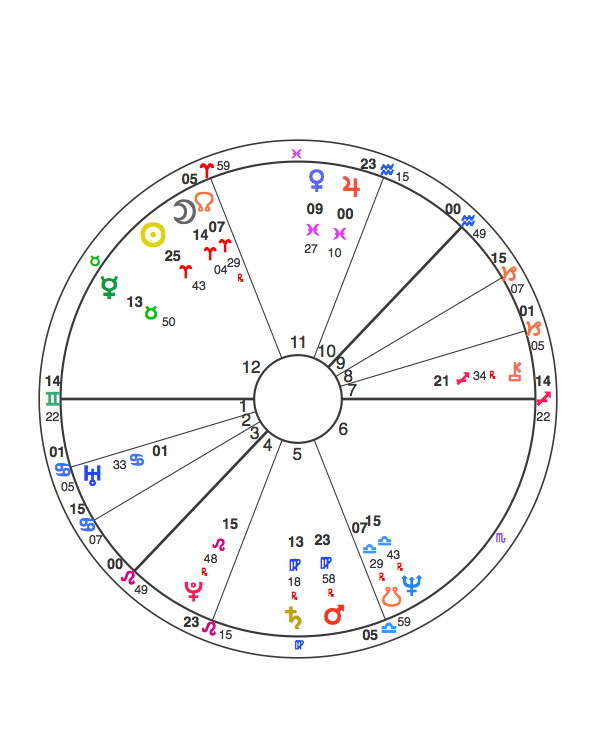 On 7th and 8th February, you have seen what the third and last Jupiter/Uranus conjunction of 2010/11 brought to the already disrupted lives of “Giorgio”(28) “Maria” (32) “Harry”(41) “Eve”(51) “Alicia” (53) and “Kathy” (54). Today it is time to hear from “Caroline” (58) “Louis” (60)”Fiona”(61) and “Barbara”(81) : the last four of the group of ten volunteers who have been generously opening a window on their lives since the Spring of 2010 – to enable the rest of us to see ‘astrology in action‘. Autumnal Equinox 2010 to Winter Solstice 2010, through to the first week of January 2011. For readers new to the research, click HERE to read background notes on the project, HERE to read through Phase One of the research, and HERE to read through Phase Two (or to refresh your memories if you are an existing follower). Even though nothing of keen interest happened on the dates above the period between equinox and solstice brought to me the opportunity to revisit my past and for a brief passage of time re-enter a profession I left in 1994. In March 2010 I returned to the city of my birth with a vague idea of living there after many years away and discovered ( Aries) that I felt alien(Uranus) of a life where I once felt I belonged ( 4th house). With this discovery came painful experiences teaching me (Jupiter) about my deeper needs (4th house). Themes of nurturing, security, belonging ( 4th house) came to the foreground as I wrestled with how “to be” (Aries) in what now felt like a foreign environment ( Jupiter). 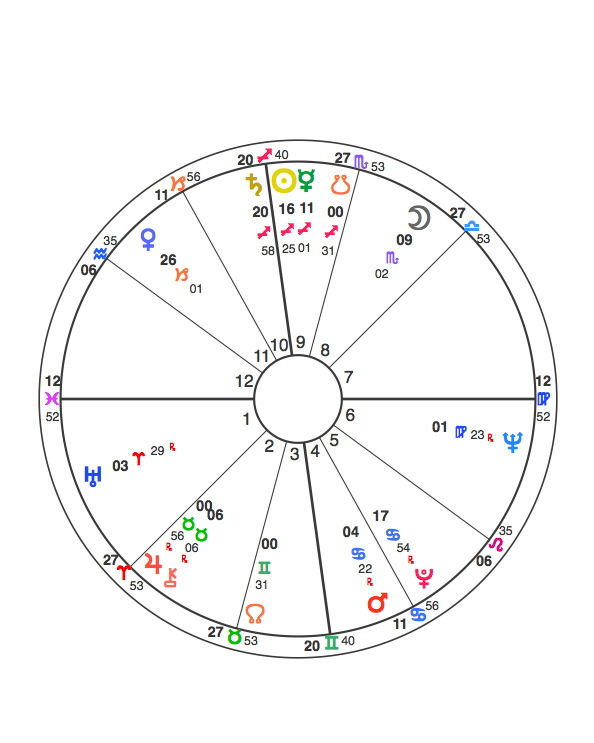 I am also experiencing my second Saturn Return transiting my natal 10th house opposing the Jupiter-Uranus conjunction, adding significant pressure to re-evaluate (Libra Saturn) what I accomplished the past thirty years. 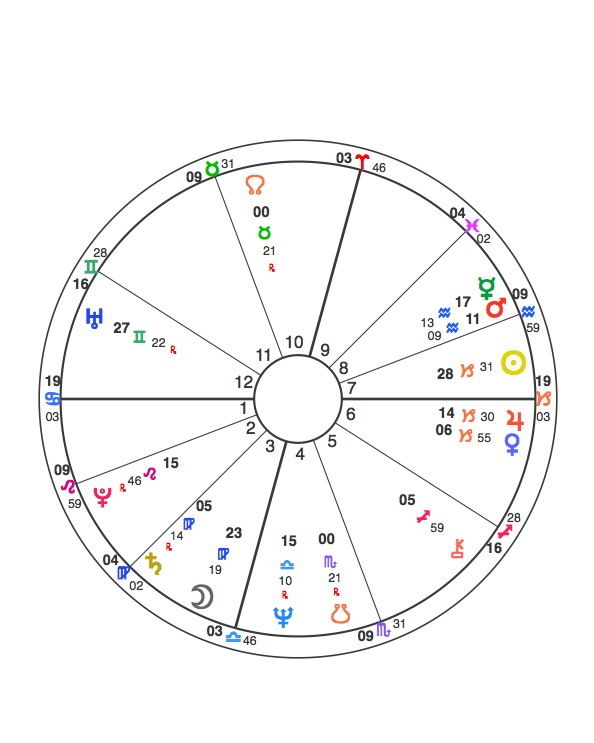 With a helping hand from the Jupiter-Uranus conjunction, and a Saturn-Pluto square in 2010, I have been breaking down emotional scaffolding that was supporting obsolete feelings. I have had to wrestle with issues of dependency, disappointment, and self-protection in myself and in others. By mid-November I was making plans to leave my native country in search for a country, community, more suited to my decision to live a simple, no thrills life. I have left my native culture for a culture unknown to me ( Jupiter) and fully aware that the roots ( 4thhouse) I wish to grow will require time ( Saturn). 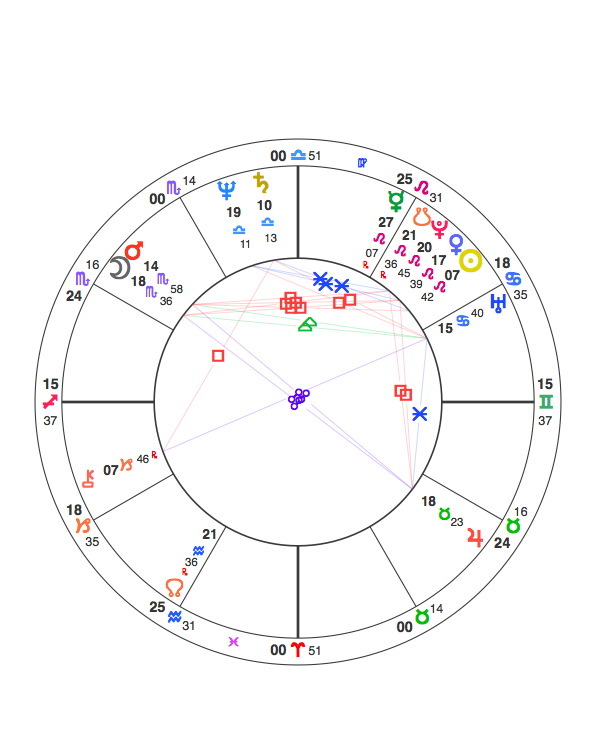 I feel a greater clarity (Uranus) about the life I want to live than before the Jupiter-Uranus conjunction, and while my life is not any less complicated than it was, this transit has removed the last remaining pretense from my past. Uranus is the archetype of the great liberator and I admit to feeling free from many perceptions of my past. My work ahead is building structures, creating relationships, that can strengthen my sense of belonging. My life is vibrating with uncertainty and I haven’t a clue of what to do except trust my decision to seek a more simple life. This was a period marked by much European travel and connections with people from different countries and backgrounds – from America to China, Japan and Singapore. It seemed to offer the prospect of a less parochial future. I suppose that in the early part of December, I was sure that I had changed substantially over the past 12 months in attitude, values and outlook though I only realise this now. 2010 was a year of great change in my attitude to work and how it should be carried out – the previous ways, as still practiced by most of the people I work with, seem tired and irrelevant. It’s an uncomfortable feeling on the one hand – who would employ me if they knew what I really thought? But there is an inner warmth of knowing that there are new ways of doing things and that I can participate in bringing that about. Mostly, it was fallout from my daughter’s father’s death, digesting it as it were, to mix the metaphor. I did get very interested in the Lunar Nodes in astrology and my interest in astrology was revitalized. I have been studying and studying the Nodes of many of the charts in my collection trying to get my own fix on them. I had never been interested in them before. 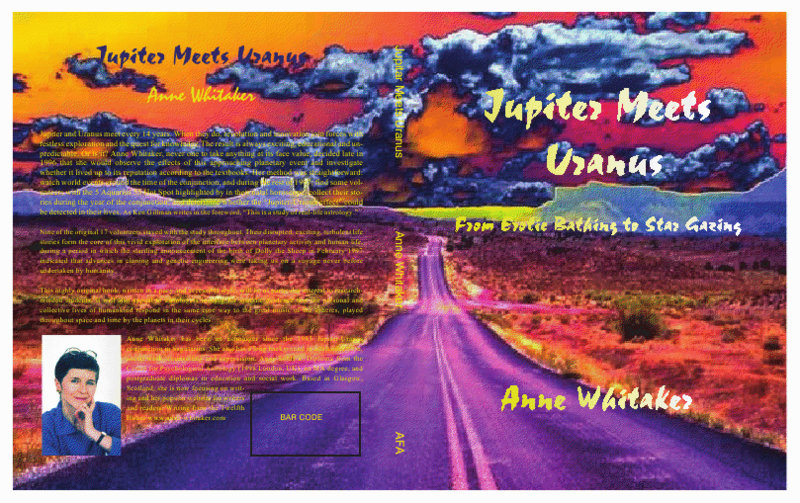 Perhaps I shall be propelled back into business with Jupiter over my Mid Heaven soon and Uranus later in the year. Who knows? A good friend and neighbor died Dec. 15, 2010. Her husband has 0 Aries Rising. I have been tracking the J/U conjunction in friends’ charts. The day of the J/U conjunction was the day of a very successful hip replacement of a friend. She is marvelously improved even though I thought it was the most baleful day to do surgery possible. I am encouraged by this to be unanfraid of these titanic astrological changes coming up, as it is always a problem – how not to use astrology to scare yourself.. I also feel very changed personally. I don’t feel like operating out of my Cancer Rising, babying and nurturing everyone. Have stopped calling a great many people back which feels weird, but I compulsively nurture people and I would like some more time and energy for myself. Seems like there is endless drama in everybody’s life and I’d rather pay attention to something else right now. I continue to be mostly uninterested in my usual pursuits of knitting and spinning, which is alarming considering how much wool and knitting lie around this house. I should start ripping out unfinished knitting projects from years ago that I am bored with , but I have yet to do so. I’m finding it hard to finish even a pair of socks which I could really use. Turned on furnace from cool to heat, but it didn’t start. Repairman determined that a bird on dropped down the chimney into furnace. After the bird was removed, furnace worked perfectly. This has NEVER happened to me before. My cousin moved and gave me her sofa which I gave to my son who really needed it. Had lunch with three adult children of a very dear friend who is deceased. All live out of town/state now. A real reunion since I had not seen them in a very long time. Son having trouble with his car, again! Repairs will be costly. Mortuary to pay respects to cousin. Left for weekend in Michigan with my sister and her daughter to see my brother and his wife who came from Massachusetts to see their granddaughter who had recently entered the convent. Taking this trip was a big decision. I never travel anymore, but since my abscessed tooth was healed, I felt well enough to tackle the trip. We had a great time and I’m glad I went. My sister is 88 and my brother is 86, so who knows how many more opportunities we will get to be together. Had third (and final) root canal procedure. Endodontist had to cut into gum at bottom of tooth to clean out canal. Very painful but it took care of the problem. My cousin had promised me that her car would be mine after her death, but she did not state that clearly to her only daughter and heir. Without going into lengthy detail, I’ll just say that her daughter gave the car to her friend who then gave me her car, which was much older and required $1500.00 worth of repairs. I had not had my son’s car repaired in anticipation of getting my cousin’s car. As it turned out my son liked the new car, however, that meant we had to sell his old car to recoup the money spent on repairs for its replacement. I was under a great deal of stress until I actually sold the car, which wasn’t until November 11, 2010 (the day after T Mercury turned Retrograde). I knew it was not a good idea to buy/sell a car under Rx Mercury, but had no choice. I actually sold the car to someone on Facebook and she was aware Mercury was Rx at the time. Someone came to check out my son’s car for sale and returned it to our garage. This morning when my son left for work, he discovered the person who put the car away last night locked the garage door which we had no key for. As you can see the whole period was crazy with unbelievable, never-before-things happening. Stress, stress, stress. Bad weather (cold and snowy) all month. Had bronchitis and coughing spells all month due to stress and cold weather. All the energy I enjoyed in October after clearing up tooth infection was now gone again. Just one weird thing after another continued to happen. Looking forward to the solar eclipse on January 4, 2011. 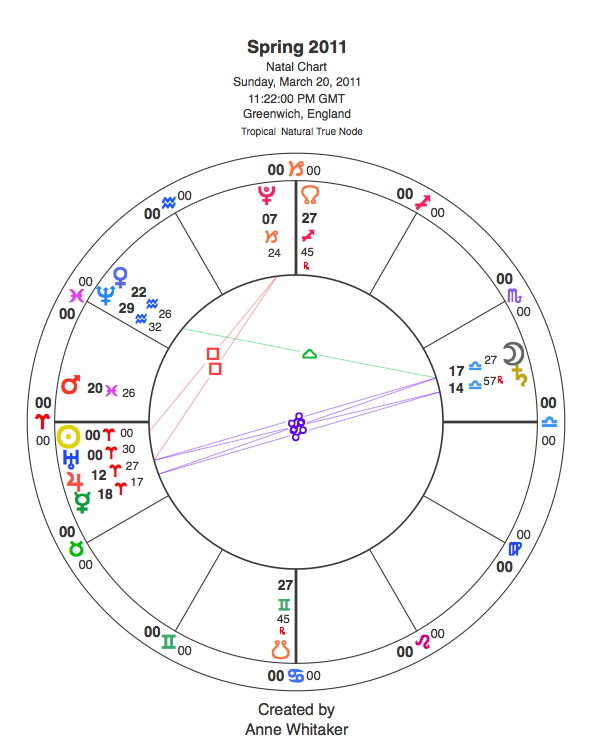 The last two solar eclipses on this date (1992 – T Jupiter trine T Uranus which was conjunct solar eclipse Sun/Moon and 1973 – T Jupiter which was conjunct solar eclipse Sun/Moon square T Uranus) were major turning points in my life and I am optimistically looking forward to a turn-around in my life. NOTE: I will be sending out the Final Questionnaire in mid-March 2011, asking my ten researchees for their brief summary of Spring 2010 – 2011. I will be asking them to evaluate the significance of the above year relative to other years in life ( in as much as one can!) and whether the Jupiter/Uranus effect (which I will briefly re-define) was in their opinion able to be seen – or not. If you are looking for information, education, entertainment and inspiration, check it out!